Drug Crimes Attorney | Tampa | McDermott Law Firm, P.A. When facing drug-related criminal charges, having a Drug Crimes Attorney on your side is invaluable. State and Federal courts vary in their charges and how they treat certain crimes, but overall, you will want to make sure that you have an experienced attorney representing your interests. Facing criminal charges of any kind can be intimidating and frightening. However, with the right Drug Crimes Attorney in Tampa, you can feel composed, prepared, and ready for whatever comes your way. Here, we will examine a few different types of charges a little more closely. When charged with Cultivation or Manufacturing, the prosecution must demonstrate that the accused had a part in either growing or producing elements intended for use in illegally controlled substances. Whether natural materials or artificial chemicals (cannabis seeds, marijuana leaves, amphetamines, narcotics, and more) you can be charged for growing, producing, processing, and concocting elements of a drug or the drug itself. The prosecution is responsible for proving possession and intent to manufacture. Owning pseudoephedrine, for example, does not mean that someone intends to make methamphetamine. It is the prosecution’s job, then, to show probable cause or hard evidence demonstrating intent to manufacture or cultivate. This could include illegal substance “cooking” ingredients or the materials or ingredients for a grow farm at the residence. If one is found guilty of Manufacturing Illegal Controlled Substances, they face Felony charges. This may include sentences requiring prison time, hefty fines, and probation. An experienced Drug Crimes Attorney in Tampa may be able to help reduce your charges, or have them dismissed entirely. Your Tampa Drug Crimes Attorney will use his experience and knowledge to craft a solid defense. Prescription Fraud is the act of deceiving a medical professional or misrepresenting oneself with the goal of acquiring controlled substances without a legitimate purpose or medical need. A medical professional can also commit Prescription Fraud if they prescribe medications and other prescriptions without a legitimate need. 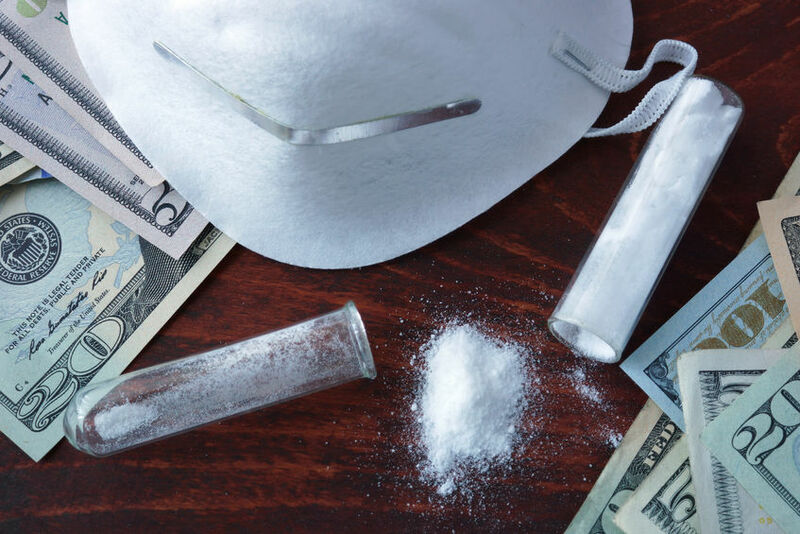 Those who commit this kind of fraud often do so in order to sell the medications or plan to use them to produce other types of illegal substances. Defenses that your Drug Crimes Attorney in Tampa may use to reduce your charges include constitutional violations like illegal search and seizure issues, defective search warrants, and more. Doctors, for example, may be able to rely on the “good faith” defense, claiming that the patient failed to disclose vital information that would have prevented them from prescribing the medication. Before you hire a Drug Crimes Attorney in Tampa, you need to do some research. It is important that you have strong representation, so you may need to sort through a list of lawyers in the area. Finding the right one may take some time, but it will prove worthwhile in the end. To find the ideal lawyer for you, begin with an online search. Many sites like Martindale-Hubbell provide trusted, peer-reviewed ratings of lawyers. Many clients rely on these ratings for honest feedback and guidance when selecting an attorney. Martindale-Hubbell’s rankings account for Communication Ability, Responsiveness, Quality of Service, and Value for Money on a scale of one (poor) to five (excellent). We are honored that our firm has been awarded the Highest Firm Rating (AV®) and our very own Frank W. McDermott, Esq. has been awarded the Highest Attorney Rating (AV®). We put our client’s needs first and always aim to go the extra mile. Also, you should seriously consider hiring an attorney who is Board Certified in Criminal Law by the Florida Bar Board of Legal Specialization. When you need a capable, confident, and attentive Drug Crimes Attorney in Tampa, contact McDermott Law Firm, P.A. Frank W. McDermott, Esq, a Board Certified Criminal Trial Attorney, has led the firm since his father passed him the torch. With high ratings and excellent testimonials, the reviews speak for themselves; our firm helps clients find success both in and out of the courtroom. Call us today at 727-367-1080 to learn more about our services or to schedule a consultation in Tampa.